As you approach the Main Healthcare Building, you will notice our charming 1756 Estate Home. Affectionately known as The Manor, this building currently contains our finance and business offices, Admissions and Administration offices, as well as conference and social areas. Enjoy a cup of coffee and a snack on the expansive front porch and relax while you visit your loved one. Built prior to the Revolutionary War, this building has been an important part of the area for centuries. 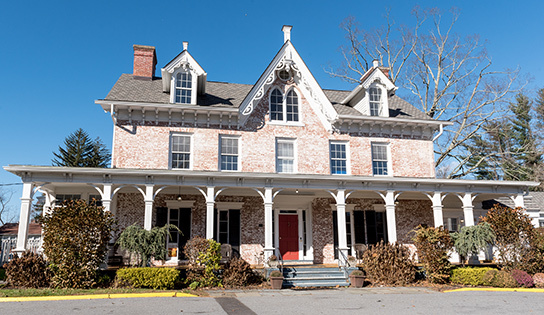 Historically known as the Van Cortlandt Upper Manor House, its original family is the town’s Namesake. Not only did George Washington sleep here, but he stayed for extended periods commanding the battles of Long Island, New Amsterdam, and Westchester County. He also stayed here during his numerous visits to West Point. More history stories are available for those who are interested and curious.